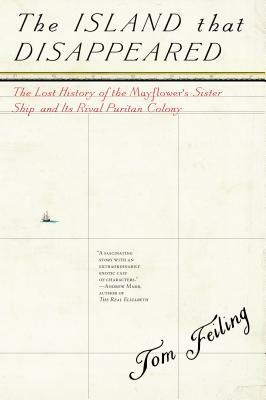 The creation myth of the United States begins with the plucky English puritans of the Mayflower--but what about the story of its sister ship, the Seaflower. Few people today know the story of the passengers aboard the Seaflower, who in 1630 founded a rival puritan colony on an isolated Caribbean island called Providence. They were convinced that England’s empire would rise not in barren New England, but rather in tropical Central America. However, Providence became a colony in constant crisis: crops failed, slaves revolted . . . and then there were the pirates. And, as Tom Feiling discovers in this surprising history, the same drama was played out by the men and women who re-settled the island one hundred years later. The Island That Disappeared presents Providence as a fascinating microcosm of colonialism--even today. At first glance it is an island of devout churchgoers - but look a little closer, and you see that it is still dependent on its smugglers. At once intimate and global, this story of puritans and pirates goes to the heart of the contradictory nature of the Caribbean and how the Western World took shape. Tom Feiling is a writer, journalist and award-winning documentary filmmaker and the author of two highly acclaimed books The Candy Machine: How Cocaine Took Over The World, and Short Walks from Bogota: Journeys in the New Colombia. He lives in London.